Brandi is a native of Milwaukee, WI and a United States Navy Veteran with over 15 years of Staffing/ Corporate Human Resources experience. 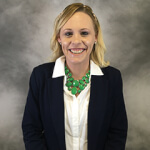 During her career she has worked in areas that include Branch staffing ,RPO, Onsite Staffing, Onsite Implementation and Corporate HR Management. Brandi leads our West Virginia Team that services WV, OH, KY, PA and surrounding areas, ensuring we are living our Core Values and providing service excellence to our Associates and Customers. During her spare time she enjoys watching her son play football and baseball.